“a process that leads to the production of finite quantities of material by subjecting quantities of input materials to an ordered set of processing activities over a finite period of time using one or more pieces of equipment”..
No universal model existed for batch control. Users had a difficult time communicating their batch processing requirements. Engineers found it hard to integrate solutions from different suppliers. Engineers and users had a difficult time configuring batch control solutions. The S88 standard, formally known as the ANSI/ISA-88 and approved by the International Society of Automation (ISA), is a design philosophy for describing equipment and procedures in batch process control. It applies to automated and manual processes alike. Therefore it is not a software standard, but rather a way of thinking. As this philosophy has been adopted by Breweries and Process Control System builders around the world, BrauXp has taken advantage of the consistent standards and terminologies to produce well-documented and structured software designs, aimed at producing the highest degree of customer satisfaction. “S88 defines hierarchical recipe management and process segmentation frameworks, which separate products from the processes that make them. The standard enables reuse and flexibility of equipment, and provides a structure for coordinating and integrating recipe-related information across the traditional ERP, MES, and control domains.”. 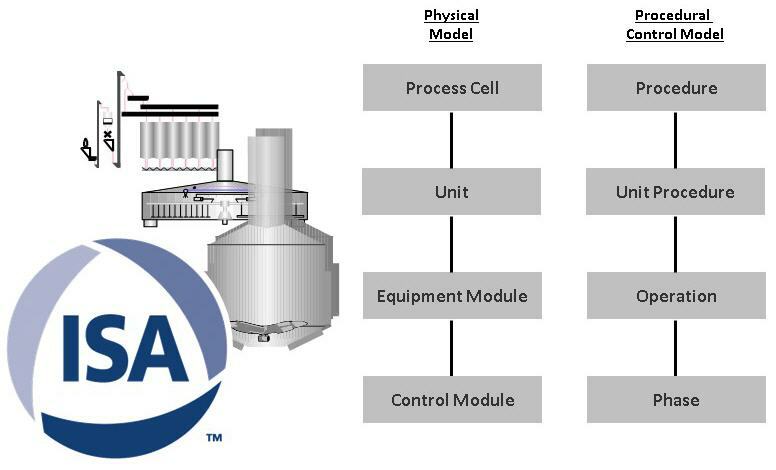 The Physical Model defines the physical assets of an enterprise involved in batch manufacturing, organized in hierarchical order. Procedural control is made up of procedural elements that are combined in a hierarchical manner to accomplish the task of a complete process. The contents of the Recipe include: header, formula, equipment requirements, procedure, and other information required to make the recipe.